My Brother book by Fatima Jinnah pdf download. 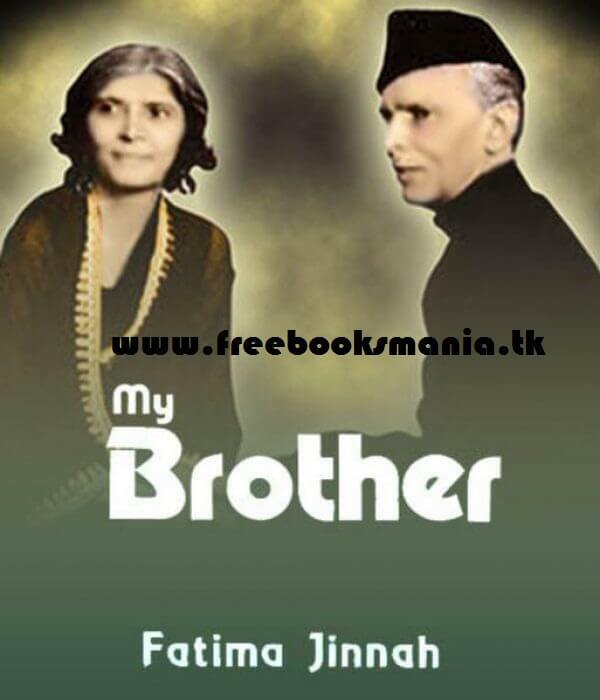 Miss Fatima Ali Jinnah was the dearest sister of Quaid e Azam who is also called"Mother of Nation". He wrote this book to unveil the aspects of Mr.Jinnah personality and to give a comprehensive detail about Quaid as she was the only person who remained with him till his last breath. This book explains the early childhood events of Mr. Jinnah like his education the circumstances which became a reason to move England for studies. This book contains a lot of materials and facts that have been buried and forgotten the real dace of Pakistan bureaucracy, the politics, and the struggle. This book will allow you to let know about that situation which is kept hidden like the idea of "Islamic Republican State"This book will truly increase your knowledge and you will be aware that the legend was ill for 8 years but he served the country garden and carved the history. Free Books Mania provides the link below both in English and Urdu.